Syriac Woman: So, Sarah, where do your parents live? 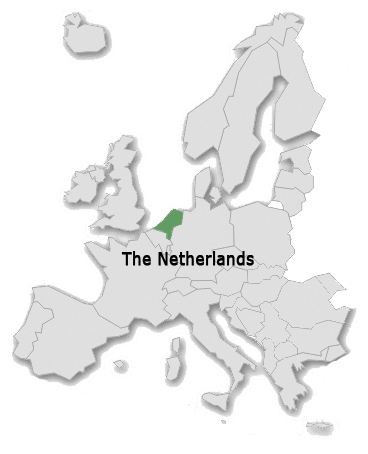 Sarah: Well, my mother lives in the U.S., and my father lives here in the Netherlands. Sarah: Yes…it happened a few years ago. Syriac Woman: So when you’re at home you live with your mother… but why don’t you live with your father now? Sarah: Well, actually, I don’t live with my mother either; she lives in another state from me. I live with my fiancé. Syriac Woman: You mean you live together even though you’re not married? Sarah: Yes, we live together. Syriac Woman: Are you a Christian? Sarah: Well, I was raised Protestant…sort of between Dutch Reformed and American Presbyterian. Syriac Woman: Ah well, that’s something…it’s all the same God I suppose. I experienced what felt like hundreds of variations on this conversation during my year of research among Syriac Orthodox Christian refugees living in the Netherlands. As often as not, the conversation ended there, as my potential informants turned away from me, sadly shaking their heads and clicking their tongues. I arrived in the Netherlands in the autumn of 2009 with the intention of studying Syriac Orthodox women’s choirs, working with the daughters and granddaughters of refugees from Syria, Turkey, Lebanon, and Iraq, whose families had fled multiple waves of violent conflict and political repression throughout the twentieth century. 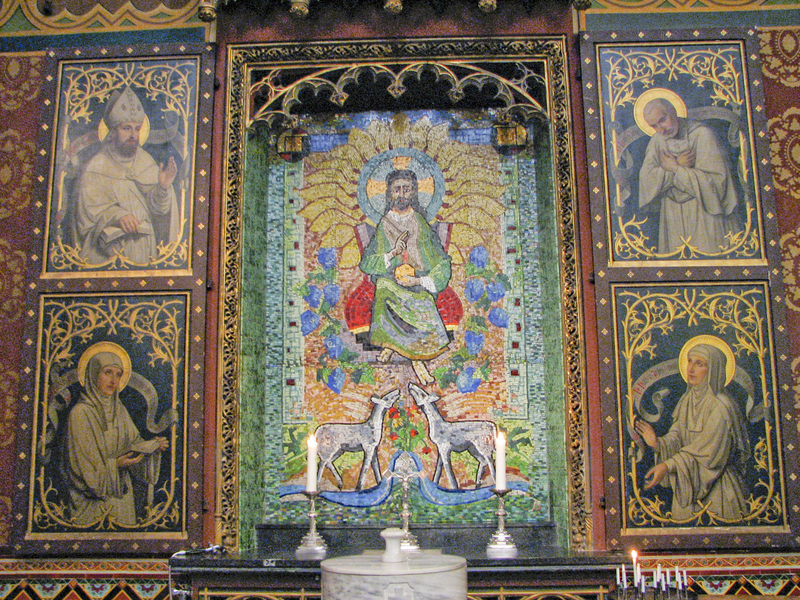 The church itself dates back to the earliest centuries of Christianity, in the third and fourth centuries, and its members still speak Syriac, a branch of Aramaic they believe to be closely related to the dialect spoken by Christ. This ancient history is an immense source of pride for the Dutch Syriac community, who call themselves Suryoye or Suroye, and the source of many claims and counter-claims about Syriac identity. By studying how members of the church related this ancient, sacred past to the rest of their lives as modern Dutch citizens, I hoped to learn how they cultivated their sense of identity as both Middle Eastern Christians and Europeans. From the very beginning of this project, I understood I would be working with culturally and theologically conservative Christians, but I little suspected how much my own cultural and theological identity would play a role in my ability to conduct my research, sometimes limiting my access and shaping my interactions in frustrating and emotional ways. In the early months of fieldwork, I worked on building relationships with my informants in hopes of developing a richly textured and deep ethnography that would capture their life experiences and understanding of the world. But every time I initiated a conversation, I discovered that I was scrutinized and analyzed just as much as I hoped to scrutinize and analyze. The process of gaining trust and acceptance among my informants was fraught and unstable; I often ended a day’s work fearing I’d have nothing significant to bring home from the field. I knew that their tragic history as an isolated and violently oppressed minority had given them little reason to trust outsiders, so I could never be sure just how the women and men I met viewed me. Was I too different? Was I morally suspect? Would I ever gain anyone’s trust? How much could I afford to share about my self and my life without shutting my project down? These questions were complicated by the fact that in some ways, for some people, I was easy to let in. I learned over time that my own religious background provided a reassuring sense that I could at some basic level understand them and wouldn’t mock or minimize their religious convictions and commitments. 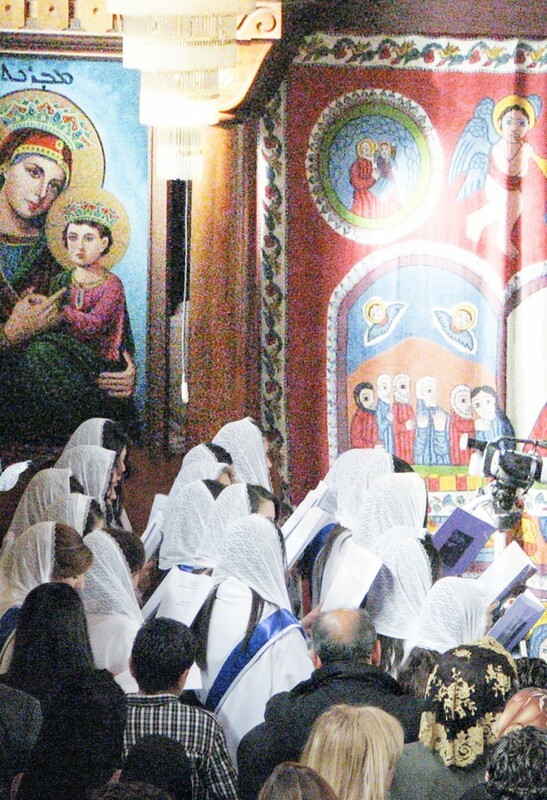 As an earnest, dark-haired, indeterminately youngish-looking woman, I plausibly fit in with the girls and young women singing in the church choirs and I would often be mistaken as Syriac Orthodox by people who didn’t know me. This began, after a while, to inspire an uneasy familiarity. Older women of the church took a maternal interest in me, worrying about whether I had enough clothing, whether I was eating enough, whether I was cold and lonely in my student room. The fact that I learned to read the classical Syriac script after a few months and could (more or less) participate in the liturgy drew approving smiles and invitations to dinner. But this warm welcome could turn to dismay, disapproval, or disappointment as they discovered incongruous things about my life that cast suspicion on my moral identity. How good a Christian daughter could I be if I was unmarried at thirty two and travelling the world alone? My younger friends, on the other hand, were able to create a more accepting, if also somewhat ambivalent, space for me in their lives. They were the second and third generation who, while being committed to the moral precepts of their church and families, had grown up in the Netherlands attending Dutch schools and taking an occasional anthropology class at university. They understood perfectly well what a researcher was and they had Dutch friends of different backgrounds, so they knew that even with a Christian background it wasn’t likely that I would share their ideas of how to live one’s life. They tried as well as they could to meet me somewhere in the middle of our differing life experiences. But even with this good will, our conversations could lead us into difficult terrain. I heard in their words emotional, contradictory claims about what it means to be a Syriac Orthodox Christian. My informants judged themselves and each other harshly, scrutinizing their own moral behavior and drawing conclusions about identity and worth in terms I could never survive if I were actually Syriac Orthodox. Because of my own anxiety about whether I could at any time be expelled from the community before I had learned something significant, it took me a long time to realize that the fraught emotion of these disagreements among my informants was itself a significant discovery. The painful emotions aroused in me by my interactions with them – about my religious history, my bicultural family, the lifechoices I had made in order to become an anthropologist – were activated by my informants’ complicated emotions as they struggled to define and articulate to me their own moral, cultural, and religious identities in a moment of tremendous transformation and uncertainty in their community’s history. Coming to this realization mid-way in my research process was bittersweet. I had been prepared by my training in ethnographic methods to expect that who I was as a person would affect the kind of knowledge I could produce. As a young woman, I had access to the lives and feelings of young Syriac Orthodox women, an often over-looked segment of the community, but older, male, and more “official” bearers of Syriac culture generally wouldn’t speak to or even acknowledge me. As a Dutch-American, I had an ear for the community’s engagement with mainstream Dutch social mores and expectations of recent migrants, but struggled to keep from projecting my own history onto theirs. As a sympathetic but deep-down-mostly-agnostic ex-Christian, I could enter the aesthetic and affective world of Christian belief and practice but often had to suppress my anger at the kinds of socially conservative moral claims made in the name of Christianity, which resonated too closely with the claims that drove me out of my childhood churches in the first place. My anthropological training had taught me that the researcher’s identity and subjectivity shapes the kind of knowledge she can produce but it couldn’t prepare me for how much it would demand of me emotionally, to stay present and open to my informants’ lives and experiences no matter how much discomfort I experienced. In anthropology, we are trained to pay attention to subjectivity, both our informants’ and our own. This is one of the reasons that, as anthropologists, we take so many years to research and write about our projects; we must develop a critical distance for our analysis of other people’s problems with self-awareness and maturity, which takes time and thought and a clear-eyed view of our own emotional engagement. Questions of subjectivity don’t necessarily have to take center-stage in the final product of our written work, as we try to keep the focus on our subject rather than ourselves, but these questions play an essential role in our research and writing process. As social scientists, self-reflection is crucially important to understanding the limits of our perception and the kinds of claims we can make about the world. So the heart of my research process this past year has been the discovery of a complicated and ambivalent web of emotions that bind my informants’ sense of moral identity to their families and to their church. The expansion and development of my ethnographic research involves contextualizing these feelings within broader political and social histories, both European and Middle Eastern, which have brought them to where they are now and which give some insight into their fraught disagreements with each other. My own experiences in the field as I came to understand my informants’ problems and preoccupations recall an important insight of our discipline: as social and cultural anthropologists, regardless of how much of ourselves we choose to put into our ethnographic writing, we must account for how our own subjectivity shapes our research agendas and haunts our relationships. In doing so, we ensure that when we go home to write, we can clearly disentangle our informants’ stories from our own. 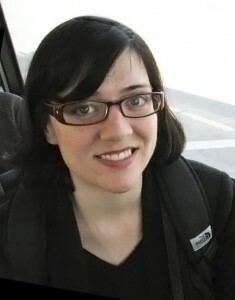 Sarah A. Bakker is a Ph.D Candidate in Cultural Anthropology at the University of California – Santa Cruz. Her dissertation research conducted among Syriac Orthodox Christian refugees and their families, living in the Netherlands, focuses on music, morality, and the construction of religious and racial difference in Middle Eastern Christian identity amidst the Dutch multiculturalism debates. Her work explores questions of gender, kinship, postcolonialism, and the secular as intertwined and multi-layered problems for the ethnography of Europe. This entry was posted in Fieldnotes and tagged Christianity, Dutch, Netherlands, Orthodox, refugees, subjectivity, Syriac, women's choirs.